I recently upgraded my Windows 7 laptop to Win10. However, before I did the upgrade, I did a clean factory install of Win7, kept installing Automatic Updates until I get the option to Upgrade to Win10. I have a 500gb HDD, that is partitioned in to two, C: for OS and D: for Local Disk (storage), currently the C: drive is 58.5gb, of which I have 13.5gb left, this is with having only Windows 10 installed AND Printer Driver and Software. 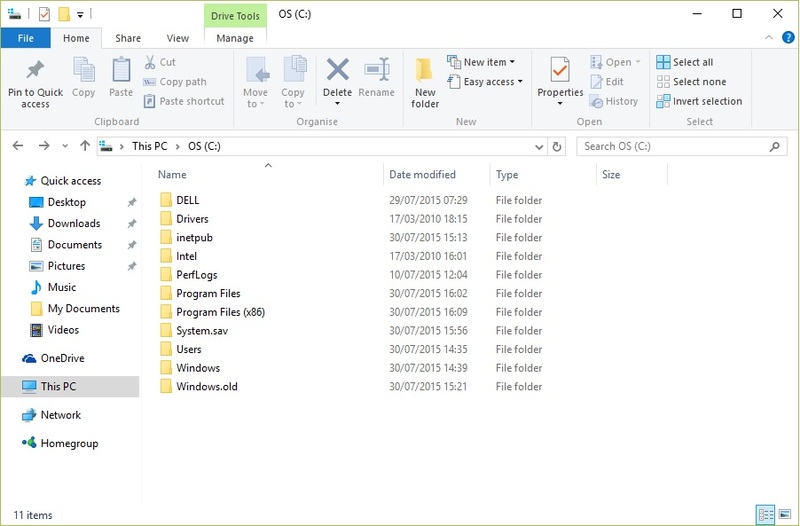 Is there any benefit of creating the Windows 10 media disk, reformatting with this Win10 disk, and getting rid of any of the rubbish that might of been installed in the process of doing a clean install of Win7. I also just noticed, it states I have a Partition called RECOVERY, however, I don't seem to have this on My Computer view. A similar question: How do I create an installation of Win10 so I can burn it on a DVD or keep it on USB to have it incase something goes wrong and I need to reinstall win10 again? Yes, many laptop PCs have a partition named "RECOVERY" so that you can recover from a damaged Windows without using a Windows DVD/USB. In your case, that partition should contains a recovery image of your Windows 7. You can have a look on all partitions using "Disk Management" utility. Press Win Key + X and then choose "Disk Management". File Explorer does not show this partition. 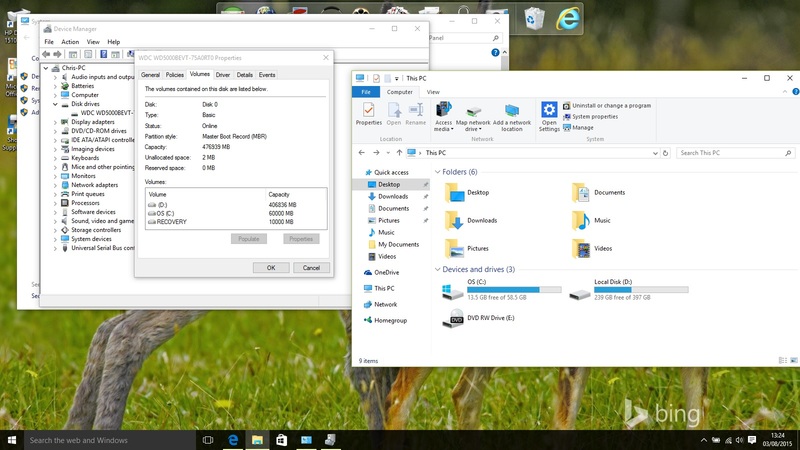 Or do you mean to create a snapshot of your Windows 10 (including apps & files) as a DVD/USB? I actually just checked my disk management and noticed I have 4 healthy recovery partitions. 3 of which say 450-490mb's of space and the other 11.69GB. But I'm curious why its 4 total partitions. Similar situation as you. Only recently have I discovered my Surface Pro 3 has several "recovery" partitions of relatively small sizes (<500 Mb). I am not sure exactly where they came from. I suspect they were created when I installed Win10 TP a long time ago (and then rolled back to Win 8.1). Anyway, I deleted all the "recovery" partitions and then did a clean install of Windows 10. No more "zombie" files / partitions now, I guess..